ST. GEORGE — The National Weather Service in Salt Lake City has issued a flash flood warning for eastern Washington County. 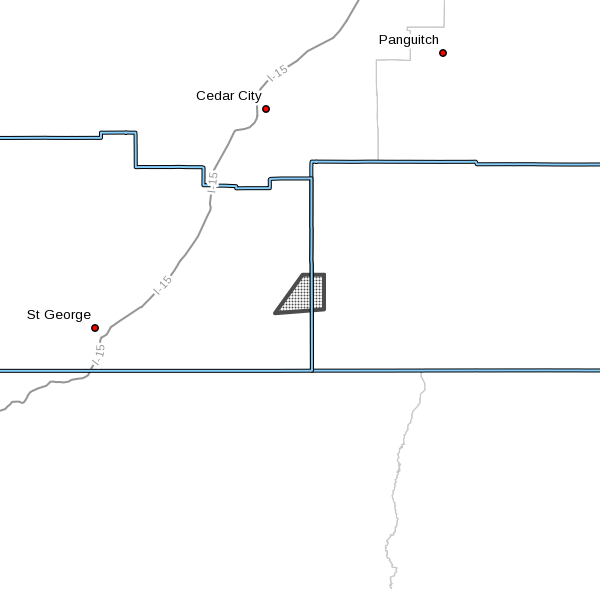 Doppler radar indicated a thunderstorm producing heavy rain over Zion National Park at 7:37 p.m. Over one inch of rain had already fallen when the weather service issued the warning. Flash flooding was expected to begin shortly afterward along the North Fork of the Virgin River as well as the North Creek drainages. East Fork of the Virgin River. The warning is in place until 10:45 p.m.
A flash flood warning means that flooding is occurring or is imminent, the weather service said in its statement. It is important to know where you are relative to streams, rivers or creeks which can become killers in heavy rains. Campers and hikers should avoid streams or creeks. The warning followed closely on the heels of a flash flood warning for southeastern Iron County that was in effect until about 7:45 p.m. Anyone who comes across flooded roads is advised to turn around. Most flood deaths occur in vehicles. If a debris flow has occurred it is important to realize that the runout area remains very dangerous. Additional debris flows may occur within minutes of the original flow. Please remain vigilant and be prepared to take swift action. Editor’s note: This report was updated at 8:25 p.m. to include additional areas under the flash flood warning and a revised map.